With the ongoing success of the Sam Raimi/Robert Tappert/Bruce Campbell-steered TV series Ash vs Evil Dead clipping along at a steady, sanguinary pace, it seems Evil Dead culture is stronger than its ever been. That’s a very good thing. 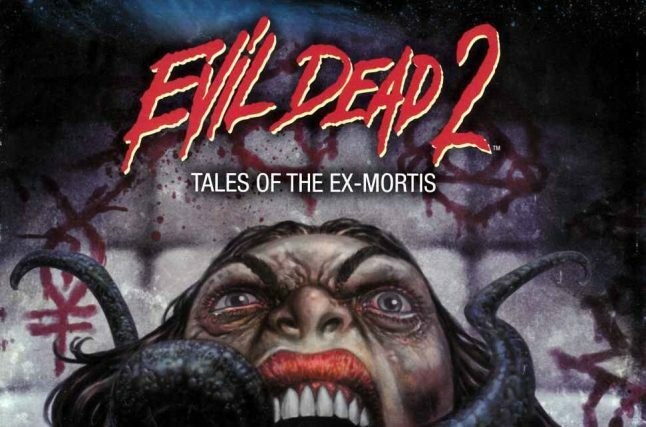 And today Space Goat Productions, in partnership with StudioCanal and Creative Licensing, has just announced they are extending their license for their popular Evil Dead 2 comic books for another three years. And on top of that, they plan to release an Evil Dead 2 adult coloring book, art book, and hardcover omnibus based off of the Evil Dead 2 comic books all this year, in order to celebrate the movie’s 30th anniversary. The Evil Dead 2-themed coloring book will be unveiled at Emerald City Comicon in March 2017. A new four-issue comic book mini-series, Evil Dead 2: Doppleganger Wars, is scheduled to be released in the latter half of 2017 and will feature Ash Williams going against an army of Ash doppelgangers. The adult coloring book, art book and hardcover omnibus will also be released in the latter half of 2017, along with anniversary editions of already released trade paperbacks. Go to the official Space Goat Productions website to learn more.